The Oath of the Green Lanterns. LET THOSE WHO WORSHIP EVIL'S MIGHT, BEWARE MY POWER, GREEN LANTERN'S LIGHT. 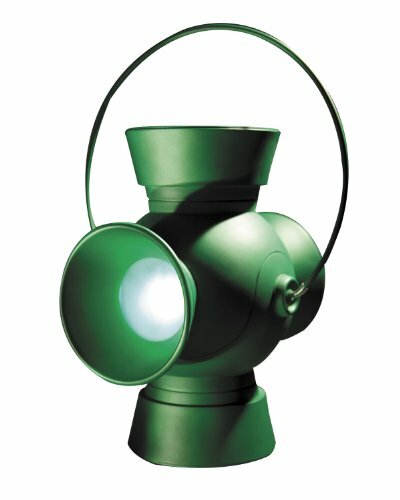 The very first in an all-new line of energy batteries, featuring a brand new finish, this Green Lantern power battery and ring will make a stunning addition to any desk, so recite the oath and order now. Now you can join the fight to protect sector 2814 with your very personal Green Lantern power battery and ring. 5"high. Measuring approximately 11. 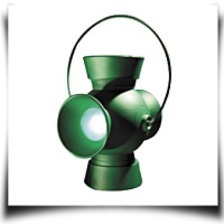 IN BRIGHTEST DAY, IN BLACKEST NIGHT, NO EVIL SHALL ESCAPE MY SIGHT.